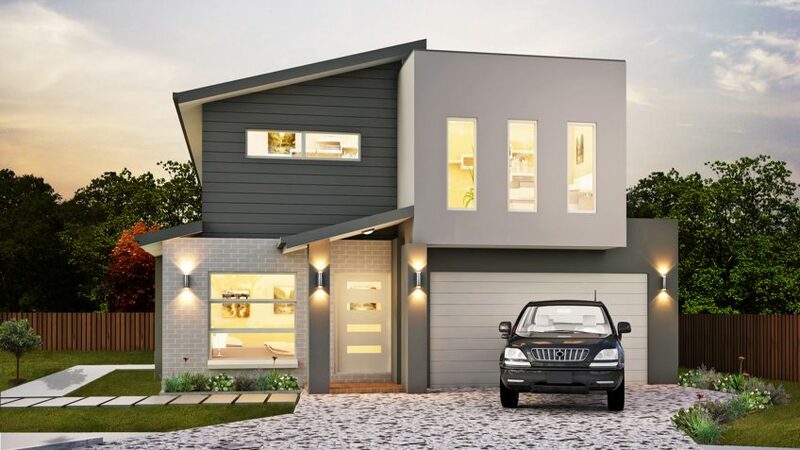 Our Pinjarra design is a large beautiful two storey home that features 5 bedrooms with the Master bedroom featuring a spacious ensuite with double basin vanity. The bedroom on the ground floor features a two-way powder room which can be an ensuite or a third bathroom for the family. With a separate media room, family room and spacious patio, there is plenty of room for the family to spread out. 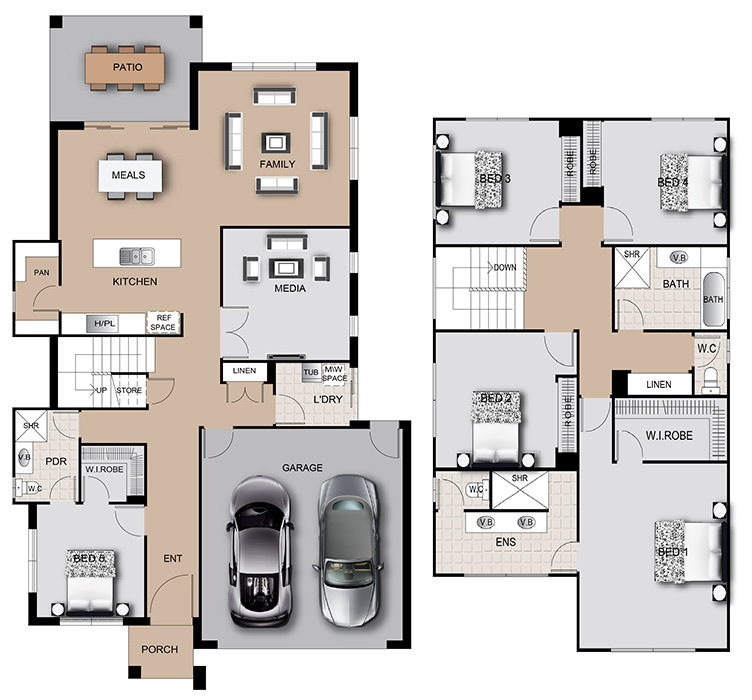 If space is important to you, then look no further than the Pinjarra for your next home.